While whizzing through a recorded Martha Stewart tv episode recently to look for Eloise Corr Danch's poppy segment, I was stopped in my tracks by a UPS Store commercial. Have you seen this cardboard goodness?! If not, YouTube to the rescue... when I went to see if some kind soul had posted it, not only was the commercial there, but I found another that's equally awesome. The $30 million campaign was developed at Doner Advertising in Southfield, Michigan and also includes radio, print and online ads. 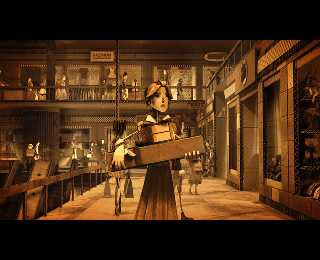 The animation was produced by Psyop, New York, and Tool of North America filmed the live action sequences in a UPS store in Whittier, California. Such clever people! And on another note, many thanks to the lovely site FoldingTrees where my very first online tutorial has been featured. 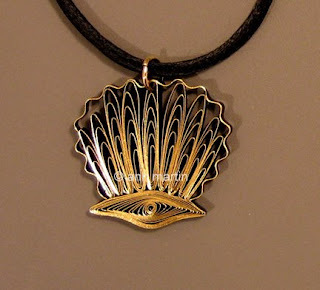 I show how to make these gilded paper pendants that will dress up any summer outfit. Anne- this is fabulous. I was taken aback. 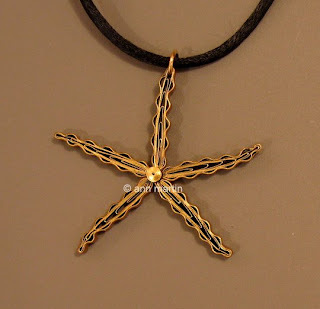 I've seen quilling before but never would have thought it could be made into jewelry. I will write about you and your blog and link to that splendid tutorial in a few weeks! My apologies for misspelling your name! My best friend from high school spelt hers Anne - that's my excuse!